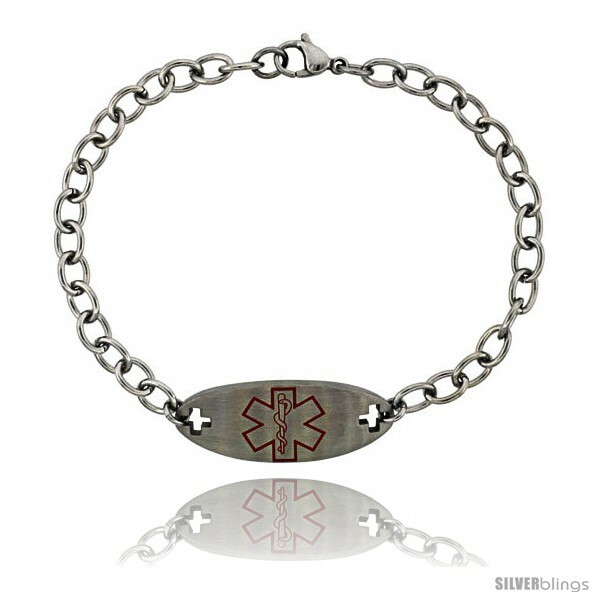 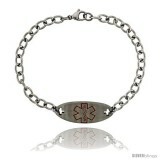 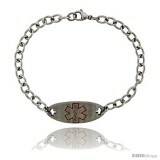 This Medical Alert Bracelet made with Stainless Steel is simple yet stylish. 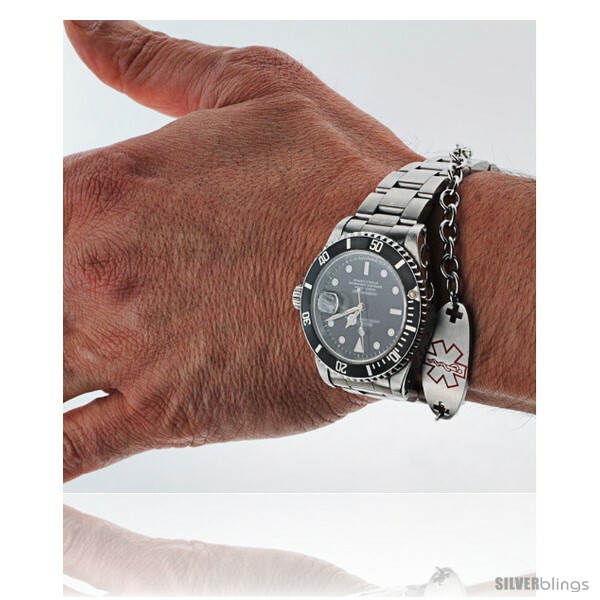 Made of High quality solid stainless steel with no plating to peel off and cause allergies, comes with a nice user friendly and secure Lobster Claw Clasp and 9 inches long to fit everyone including children, by simply removing a few links (with a couple pairs of pliers). 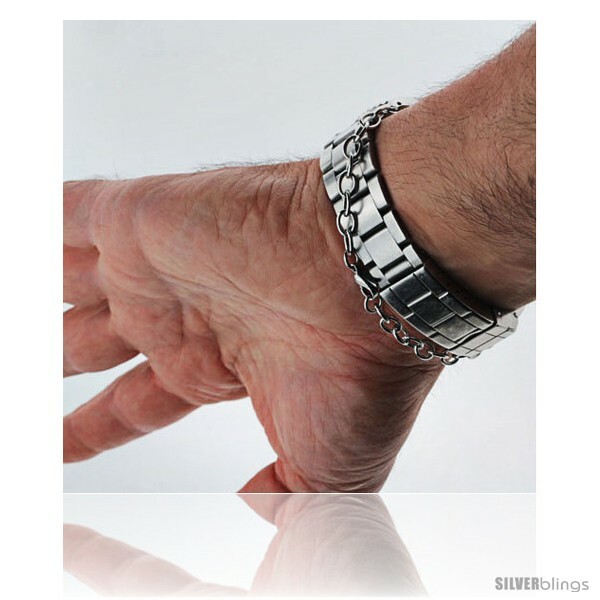 For people with much smaller wrist sizes like children and petite women, its recommended to remove links from both sides to center the clasp at the bottom. 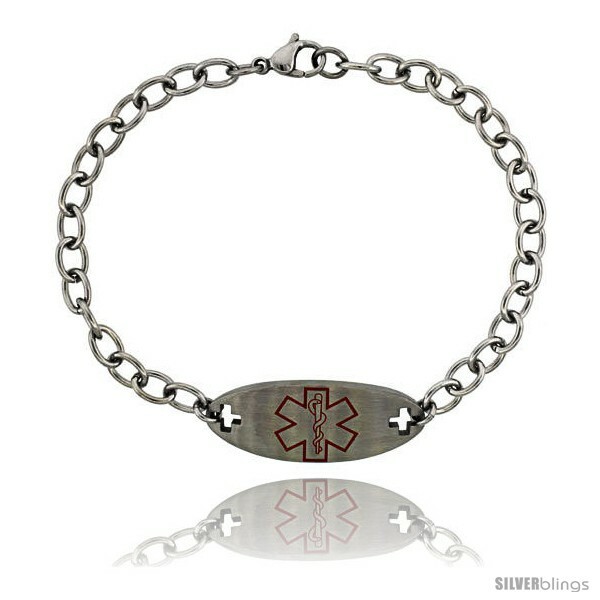 There are quite a lot of medical bracelets out there; this one is designed to reduce the number of people asking what's wrong with you? And in the process of becoming subtle it's become small enough and light enough to be comfortably worn along with your other bracelets, watches or jewelry, so you can free-up the right (or the left) hand of a massive, bulky, neon sign of a bracelet, which will help you tremendously to write and work with.